This week marks the 5th anniversary of meeting Pedro González Arbona, a short-term Spanish exchange student, and his adoption into our family. Every year at this time, my internal clock reminds me and sends me down memory lane. That’s because Pedro’s arrival in our home set a series of life-changing events in motion for me emotionally, spiritually, and with my writing. While our adventures that first summer were fairly typical of the experiences of host families and their students, the relationship that ensued was not typical. It led to a deep connection between his mother and me as we prepared for our mothers to pass away; it led to launching Pedro’s music and film composing career; and it led to my church mission to Spain last fall. 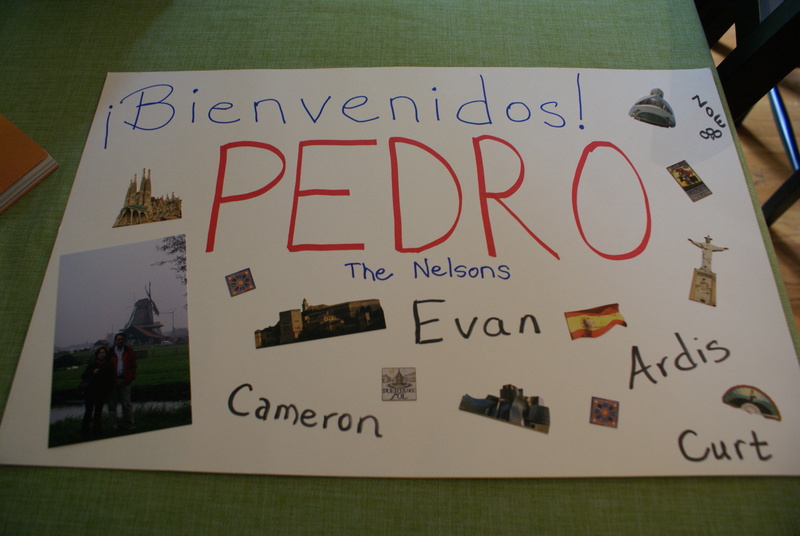 Pedro’s welcome poster, July 2010. So for the last four years, I’ve deliberately marked the occasion in some personal way. 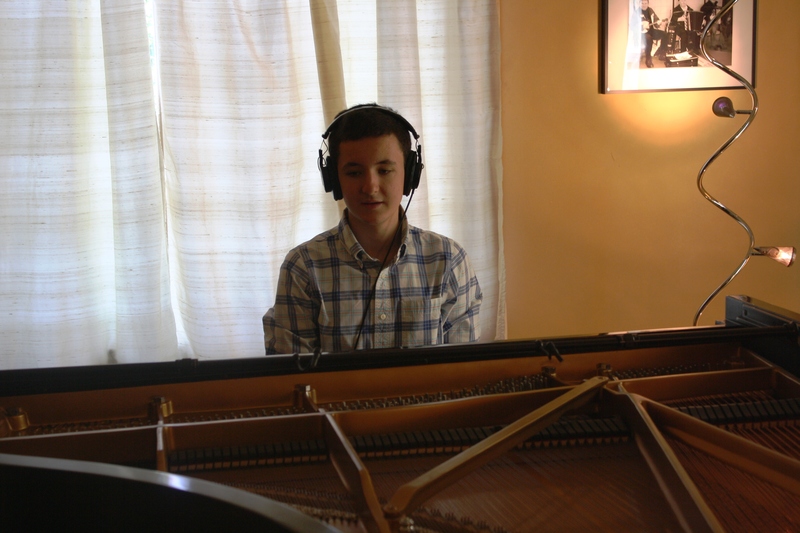 The 1st year, I took Pedro into The Piano Studio to record his first CD, Introducing Pedro González Arbona. The 2nd year, I went away on a personal writing retreat to work on my memoir related to this story. On the 3rd year, I met his mother Rosa and other family members while traveling in Spain. On the 4th year (last year), Pedro and I attended the VIP screening of his first full-feature film, Tempting Fate, in Houston. Five years later, and I realized I had never publically shared the behind the scenes story of how this all came to be. Even the way in which Pedro ended up in our home was not the usual course of events that occurs when signing up to host a foreign exchange student. It was a whirlwind of surprises and quick decisions a few short weeks before Pedro arrived in America. The story starts in June 2010. My oldest son was a senior in high school and auditioned to perform a classical piano piece at the Baccalaureate ceremony. The evening of his audition, our son shared over dinner that one of the judges was Kris, a family friend from our old neighborhood. We’d lost touch with each other through the years. She remembered my son from way back when our kids played together. After years of no contact, I decided to connect with Kris over email. That started a nice string of replies back and forth and the rekindling of an old friendship. My son passed the audition, and we made plans to see each other at the ceremony later that month. Pedro in the recording studio, July 2011. 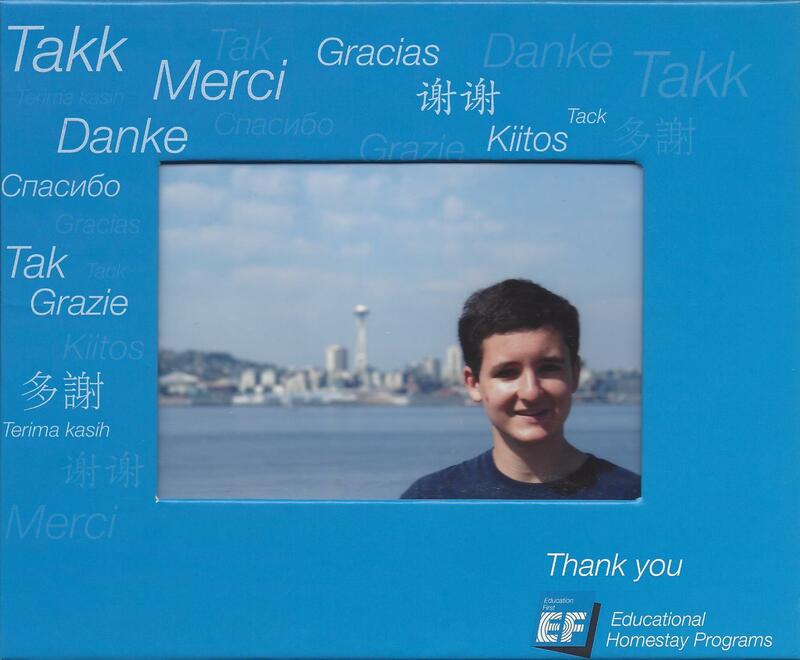 A few days later, Kris sent us an email about Education First (EF), the exchange program that she was in charge of for our area. She asked us if we would be interested in hosting a student. 44 students from France and Spain were arriving in 4 weeks and they still needed homes for some of the students. My husband and I had a Finnish exchange student through Rotary International in our home early on in our marriage (over 20 years ago) before we had kids. It was such a fun experience; we were open to doing it again, and sharing the experience with our now teenage sons. We had never heard about the EF program. We learned EF was a short-term program, generally just a few weeks. Some years the program involved students being in language classes during the day. Other years the program entailed multiple planned field trips for the students, and lots of unscheduled time to be immersed in the culture and life of their host families. This particular year, was the latter program for 4 weeks in July. We talked it over as a family and decided to give it a try. We filled out the application, went through the home interview process, and had our references checked. Since most everyone in my family had taken some Spanish in school, we requested to host a Spanish male student in our home. We anxiously awaited word of who our host son would be. 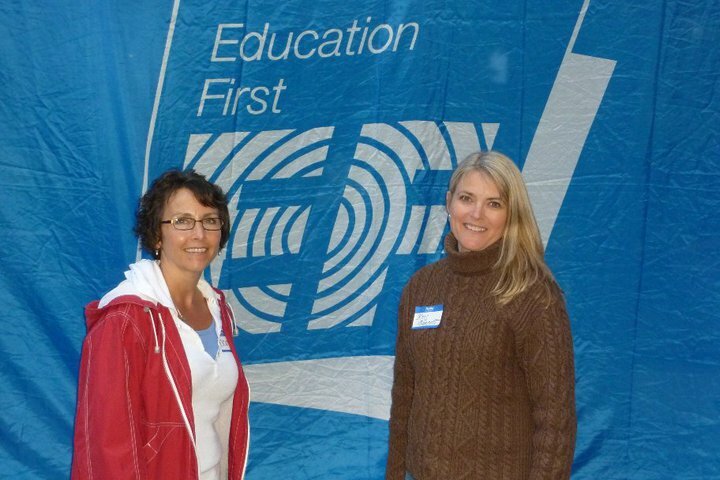 Our EF leaders, Kris & Jan. Ten days later, I eagerly opened the email that matched families with students. 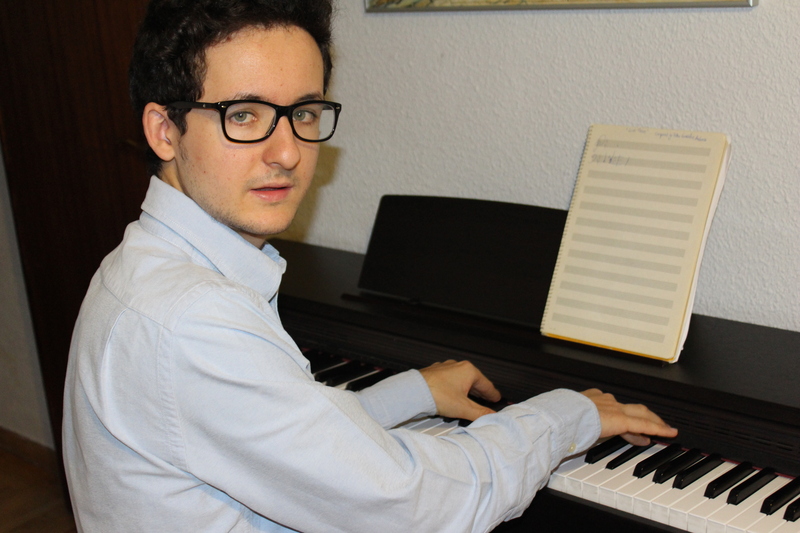 When I read our host son’s profile, I was surprised to see that he didn’t play the piano. During the initial interview process, Kris shared that there was definitely at least one student who played the piano and that we would be matched with him. From the moment the opportunity to host an exchange student came up, I felt God was calling me to stretch myself outside of my comfort zone. I was excited about welcoming a student into our home, but I was also nervous about it. So when I noticed that the student assigned to our family did not play the piano, I prayed about what to do. Was I to blindly trust that this was ‘the student’ for us? Was I supposed to speak up and make our desires known? I contacted Kris about our assigned student. Her response was welcome news. She made a mistake in assigning the students. We were supposed to be matched with a young man from Spain who played the piano. His name was Pedro! Pedro in his studio in Madrid, July 2013. Our family had the advantage of knowing a little bit about Pedro and his family by way of the profile sheet that he filled out as part of the EF program. Right away I sent Pedro an email introduction and family photo. He quickly replied, sharing his excitement to visit Seattle, and about his love of music and cinema. He had also looked up our location on Google Maps, said how beautiful it looked, and naturally asked about the rain. 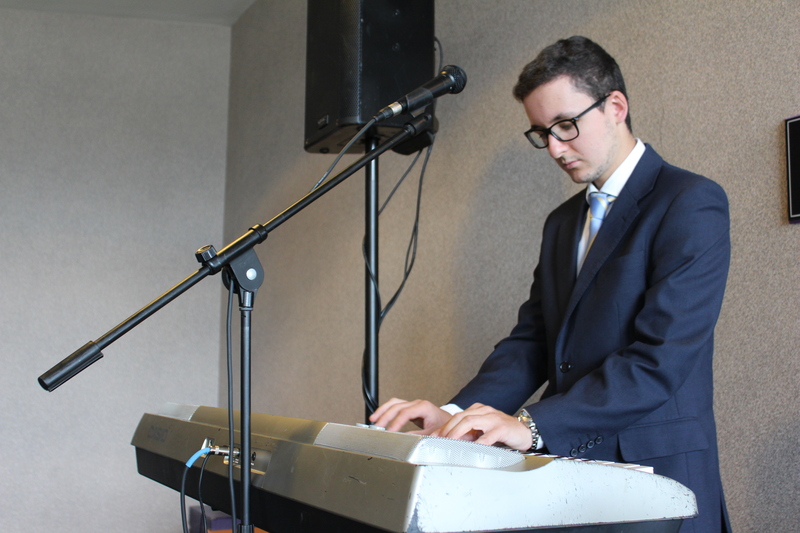 Pedro, at the keyboard at the VIP screening of Tempting Fate, Houston, July 2014. I’ve never regretted opening up our home to an exchange student or specifically to Pedro. We were so attached to Pedro, we invited him back the next summer for a personal visit. Five years later our families still maintain regular contact via email, Skype, or Whatsapp messaging. It was truly a match made in heaven. The experience has expanded my definition of family and stretched my heart, my mind, and my faith in amazing ways. Sometimes the geographical and language barriers make our relationship challenging. Other times it brings such great joy. When we agreed to host an exchange student in our home, I never thought I was signing up for this kind of long-term commitment. But I was open to being used by God; and I trusted Him each step along the way. I have been immensely blessed by Pedro, Rosa, Rafa, and the rest of his family. They were a conduit for the Lord’s healing to be manifested with the passing of my mother several months after Pedro returned home. (That is the story published in Journeys to Mother Love.) Rosa is my Sister in Christ. I am a proud benefactor of Pedro’s music (pgarbona.com), and relish our friendship. 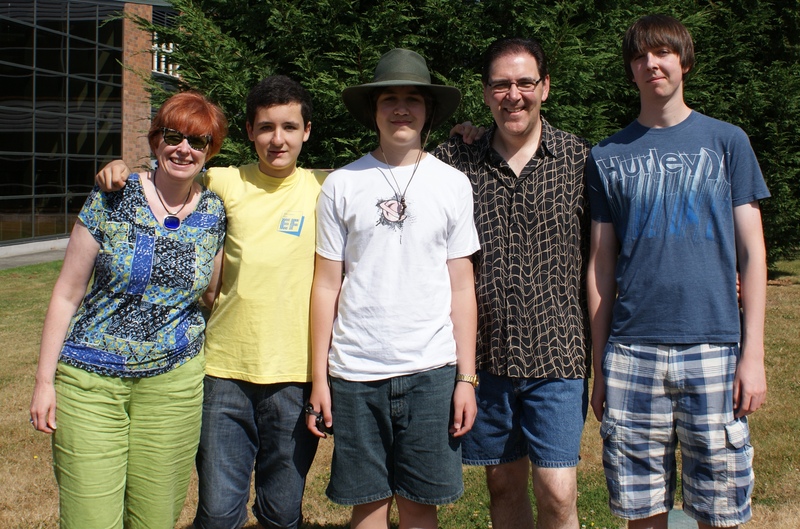 Pedro & his American family from Seattle, July 2010, a match made in heaven. We never know how God is going to use some small act of kindness to bless us or others. I hope you will give heed the next time He nudges you to do something outside of your comfort zone. The blessing may just be on the other side of obedience. Last week a class of 115 students proudly walked across the stage of our church auditorium to receive their diplomas from a new high school in Washington State. 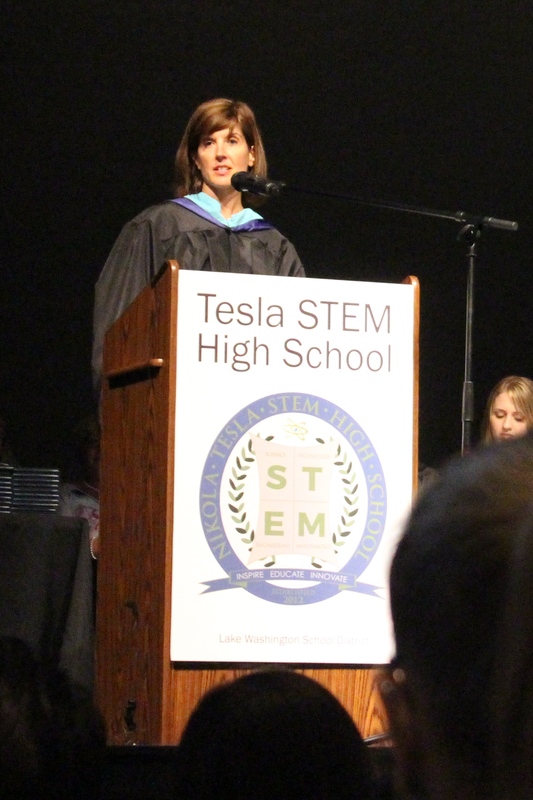 My son was one of these students in the first graduating class of Nikola Tesla STEM High School. Naturally it was a proud moment for family and friends in attendance as well as the faculty and staff. Being first, the administration had the opportunity to create a graduation ceremony that was unique and fitting to this academic community of STEM scholars. The evening had many memorable highlights and surprises. 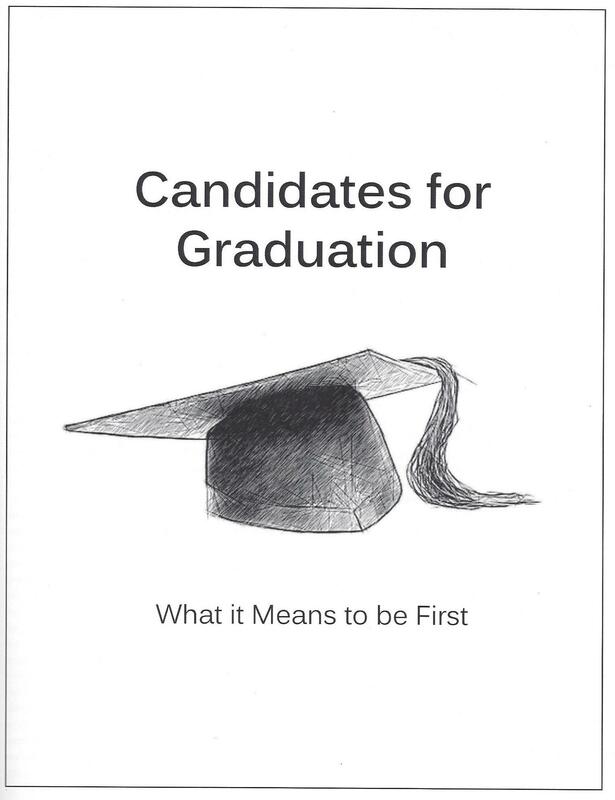 One of the surprises was an essay penned by each of the graduating seniors to the prompt: “What it Means to be First.” Their essays were alphabetically listed in the program in the order that they would later walk across the stage to accept their diplomas. It warmed my heart to read my son’s essay while waiting for the ceremony to start. My son later shared that he easily wrote that essay as an in-class English assignment. That was significant because many times during the school year he struggled to get a start on his writing assignments. He would stare at the blank page for long periods of time. This short essay was a gift to read and re-read knowing that it marked a breakthrough in his writing, and possibly his ADHD barriers to creatively express himself. Graduations are full of speeches intended to inspire students as they start on their next level of education or venture out into the world. These speeches were no exception. We heard from the Superintendent of the school district. As a writer, I thoroughly enjoyed her speech as she compared their journey to chapters in a book and identified the students as authors of their stories. Student speeches followed. A pair of students spoke on the phases and milestones that this first class journeyed through to get to this point: school construction, developing clubs and extracurricular activities, defining internship opportunities, naming of the school, and more. That was followed by two more student addresses. The second speaker creatively wove famous quotes from 50 other historical speeches and famous movies. He quoted Abraham Lincoln’s Gettysburg Address and Martin Luther King, Jr.’s I have a Dream speech. He cheered on the graduates exclaiming: “Live long and prosper” and “May the force be with you.” The audience broke into bursts of laughter throughout. It was highly entertaining. Below is a short video clip of a few graduation highlights created by the Lake Washington School District. It wasn’t the story that she told, but the examples she shared of memorable student moments that again hit an accord with me. That was because his teacher anonymously shared something my son did in class. Several weeks prior, to celebrate this teacher’s birthday, she held a Poetry Café. Students were asked to bring in a favorite poem or one that they wrote and to share it with the class. That night at the dinner table, our son told us about that day and what he did—heeding to his heart. I felt the tears start to well up inside me too—proud Mama tears. This teacher made a difference in my son’s life. English was not his favorite subject, but English was his favorite class while at STEM. She was his favorite teacher all three years and made English interesting to him. When she signed his yearbook days before, she said he always made her smile and referenced the Poetry Café. She wrote that my son worked so hard and she was extremely proud of him. 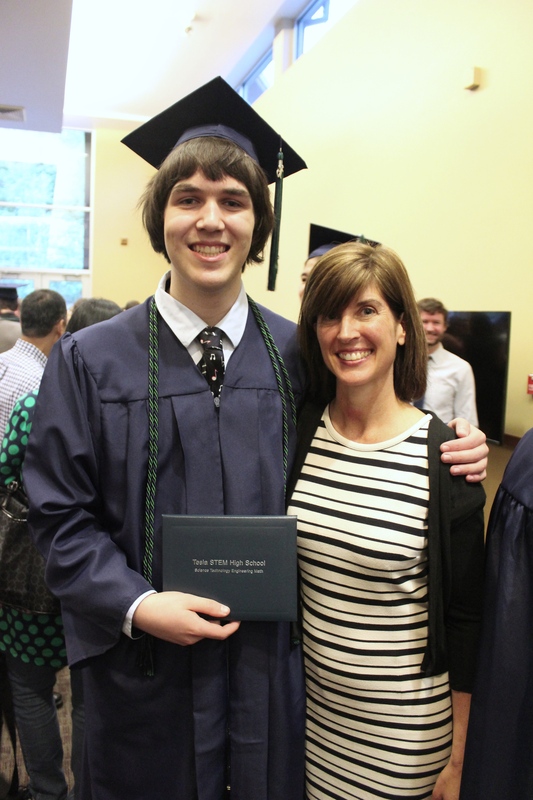 On the eve of graduation I sent her an email telling her too how much she meant to my son. She encouraged him throughout his high school struggles with his ADHD and instilled confidence in him. She believed in him. Then a few days ago I made one final stop at the school to see this teacher and give her a personalized copy of my book, Journeys to Mother Love. We talked about the Poetry Café again. She went on to share that one female student in the class told the teacher several times how touched she was by what my son said and that it made her cry (like it did the teacher). My son has that way about him—kind, compassionate, and caring. Someday a young woman will look past his shy demeanor, connect with him on more than a surface level, and sparks will fly, but not yet. His teacher and I parted ways with a hug and tears welling up in our eyes. Oh, to be a teacher and collect those special memories—knowing that they made a difference in a student’s life. Back to the graduation…following the faculty address by my son’s English teacher, the student’s ceremoniously walked across the stage to receive their diplomas. With a small group of graduates, they were able to add another memorable highlight to the ceremony. There wasn’t one person who shook the hand of each student or even a rotation of teachers handing out diplomas. Somehow they arranged it so that students received their diplomas from a teacher of their choice. He proudly smiled for the photographer and received his diploma from his English teacher. Before the customary switching of the tassel from one side of the mortar board hat to the other, another surprise awaited the parents of these fine graduates. 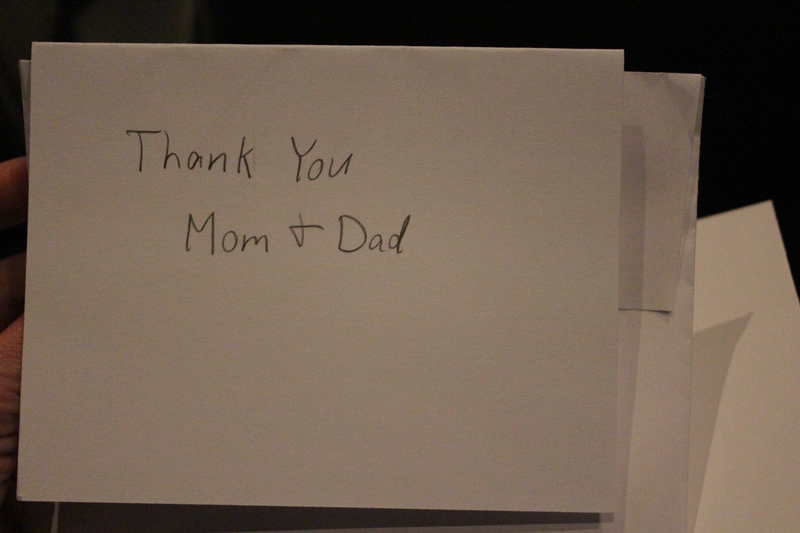 They had each written their parents a thank you note (another English assignment). They were challenged to quickly find their parents in the crowd, give them the note, and return to their seats. (You can’t do that in a large high school!) More tears were shed in reading our son’s hand written note thanking us for our understanding of all he went through to complete high school and that he was grateful for how he was raised. For the last three years of my son’s life, he forged a path of firsts with the other students at this school. In a world that is continually more and more focused on ‘likes,’ attention on achievements, and social media presence, it’s nice to see that my son has his head in the right place…and that is in his heart. I’m proud that is the legacy he left Nikola Tesla STEM High School. Congratulations STEM Class of 2015 Graduates! And thank you teachers and faculty for making STEM a school with a heart. Today is a bittersweet day for me and my family. My youngest child will be walking across the stage and receiving his high school diploma. What is so significant to me about this is how he got to this place and time—all of the obstacles he overcame, and how he did it his way. My son forged his own path to graduation. It wasn’t the same journey as his brother four years earlier, or the way that I had envisioned it over the years. Like the ending line in the famous poem “The Road Not Taken” by Robert Frost, my son took the road less traveled. And in so doing, he was a pioneer of the spirit. My son, a pioneer of the spirit. In parenting our only other child, his older brother, we got caught up in the competitive race for the coveted prize of his attendance at one of the best engineering schools in the country. Thankfully God had other plans. Being our first born child, we didn’t know what to expect. When we noticed his giftedness at a very early age, we sought and were granted a waiver to put him in Kindergarten a year earlier than his peers. 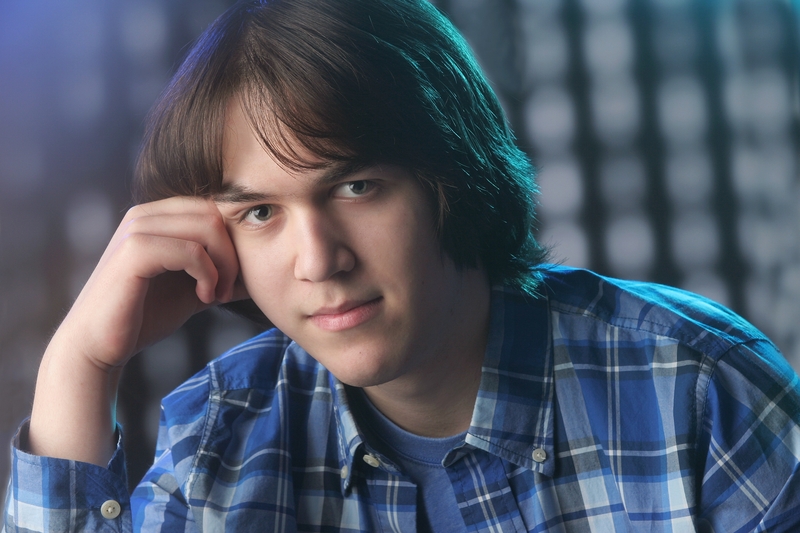 He ended up settling into the gifted program and taking a rigorous AP and honors course load throughout school. Those choices led him to a few different schools in the district, not our neighborhood school. When our youngest child entered the school system, we made the tough decision to place him in the elementary school where his brother attended. 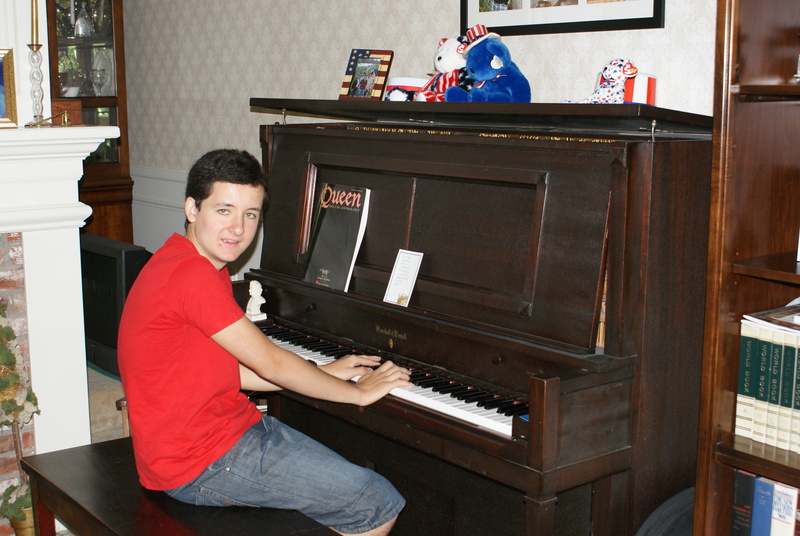 He also followed his brother into the same extracurricular activities: baseball, piano, and chess. He eventually dropped out of those and developed his love for music by playing the flute, saxophone, and drums. Once his brother went on to junior high, my youngest son switched schools and attended the school in our neighborhood. It wasn’t long after that we noticed his school difficulties surface. I was not overly concerned, but couldn’t help but wonder, is there something else going on here? It was unfair to compare him to his older brother, and I thought his occasional struggles were more ‘normal.’ Things got worse for him in junior high. When it came time to go to high school, we decided to check out several of the high schools in the district. He wasn’t interested in the high school his brother attended. The large high school that most students in the neighborhood attended didn’t excite him either. We attributed some of his school problems with lack of motivation. So we felt it would be better for him to be in a school with smaller classes and a learning environment that more closely matched his interests. A new school had opened up in the district and was accepting students on a lottery basis. This school was specifically geared to a STEM based education (Science Technology Engineering & Mathematics). Living in the high tech corridor of the Seattle Eastside, this was a magnet for local kids, as was proven by the standing room only audience at the information night for this new school. Our son was accepted into the STEM school and started in the fall. It was also at this time that the school district was converting middle schools to junior high schools and all high schools to a 4-year format. 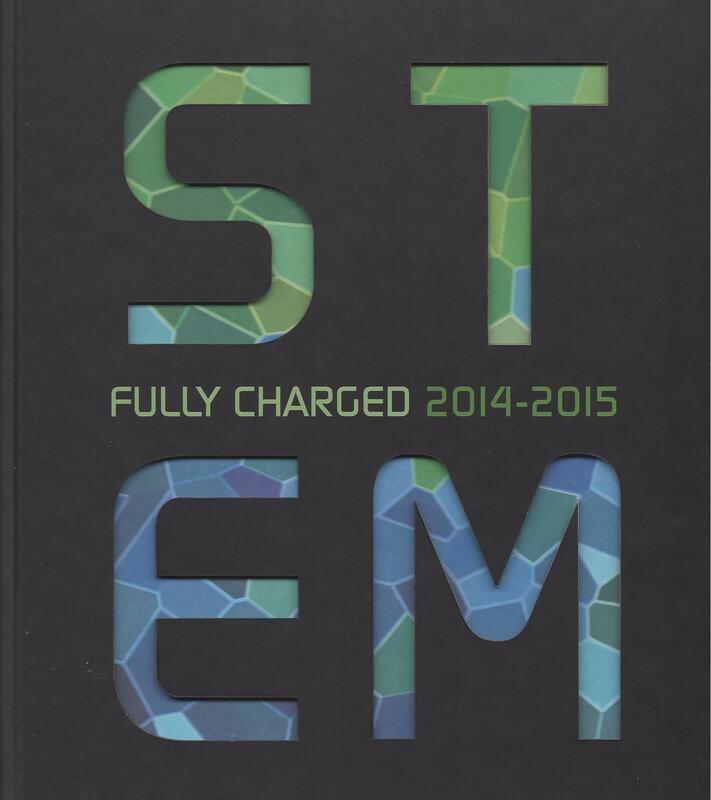 The STEM school was launched with incoming freshmen and sophomore classes. My son would be in the first graduating class of the school—the class of 2015! 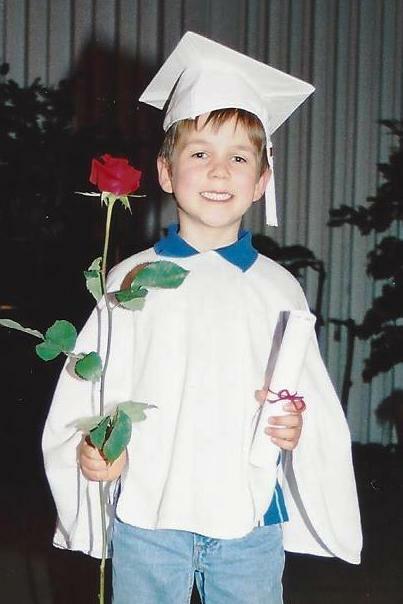 An educational pioneer and future graduate in the class of 2015 at his 2002 pre-school graduation. These new students were educational pioneers in the district and had to endure some growing pains in the process. For example, while the school building was still under construction the first semester, the school was co-located on the campus of the big neighborhood high school. It was hard for the students and the school community to define its own culture and identity. With the school half completed, after the Christmas holiday break, the students and faculty moved into their brand new campus and started to create their own academic community. The course load was rigorous, much like the academic classes that his brother took in high school. From our earliest meetings with the school administration, we and other parents were assured there would be other less rigorous class options for students. Unfortunately that wasn’t the case. My son struggled to make it through the first quarter of his sophomore year. We heard stories of kids dropping out of the school and returning to their neighborhood high schools. Despite my son’s recent diagnosis with ADHD, he wanted to be at this school, and was determined to make it work. There were times along the journey that we had conversations about transferring to another school. It was a painful decision for all of us. When does the parent have the final say? How do you know what is best for your child? Each time he came back to his desire to stay, accepting that it would be a challenge. During a recent conversation with my son about his tenure at this school, I asked him if he had to do it all over again what he would do. He acknowledged that going to his neighborhood high school would’ve been a lot easier for him. But he didn’t miss a beat in saying that the STEM school was good for his character development. He wasn’t wrapped up in his GPA or the college competition. He was content that he graduated, made good friends, and was learning more about his abilities. What I haven’t lost sight of in the process is where his graduation ceremony will take place tonight. It’s not at the school. They don’t have the space for this type of event. The graduation will be held at our church. It was in this same church that my son learned about Jesus, accepted Christ as His Savior, was baptized, and has attended all his life. Our family’s church, where graduation will take place. It adds to the bittersweet nature of the event for me. And it serves as a reminder that the Lord has been at my son’s side the entire time. My son is a Pioneer. He is a STEM Scholar. He is unique, gifted, and talented in many ways. …and that has made all the difference. I’m grateful he did. Congratulations Son! 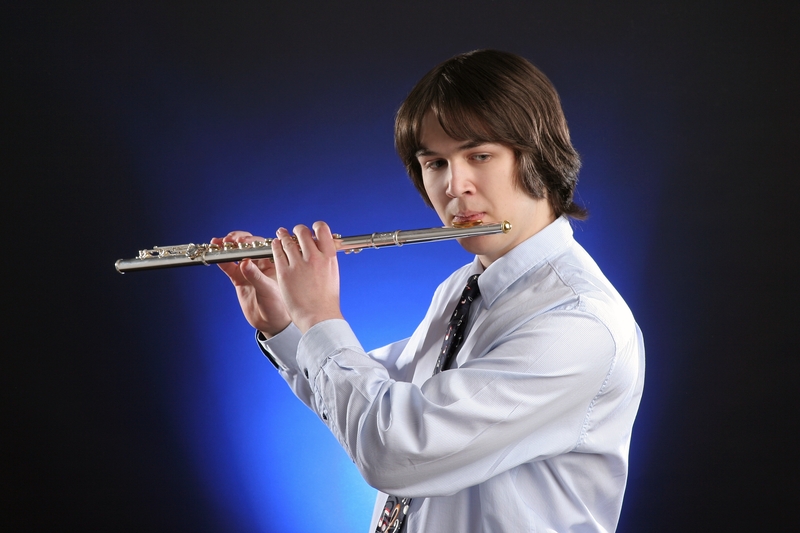 My son, the flutist, taking the road less traveled.